Nigel qualified as a solicitor in 1980 with the City of London firm of Field Fisher & Martineau (now Field Fisher Waterhouse) after which he joined the specialist shipping and trade practice of William A Crump where he remained for 10 years, becoming a partner. For over 18 years Nigel was a partner at the City of London firm of Barlow Lyde & Gilbert, where he founded and became Head of their Marine Energy and Trade Department and went on to become a member of the main board. He retired from BLG and joined MDY Legal in 2009. Nigel has nearly 30 years experience of international commercial litigation and has acted on large and high profile cases at all levels in the Courts in London and in ICC, LCIA and LMAA arbitrations. He has also taken part in many mediations. Nigel’s experience covers many areas of international commercial litigation including all aspects of international trade, sale of goods, trade finance, insurance, shipping, logistics and all types of transport. Clients have included the UK Government’s department responsible for the UK aid programme, DFID, as well as overseas governments such as Zambia, Ghana and Kenya. He has also acted for United Parcel Service, Babcock International, Intertek Testing Services, Zespri, Credit Lyonnais, Petronor (now Repsol) and many insurance companies and underwriters. Recent reported cases include Babcock Int. v Mitsui (High Court), ITS v Allianz (Court of Appeal), UPS v Datec ( House of Lords) and Parsons v Owners of “Happy Ranger” ( Court of Appeal) as well as many arbitrations. 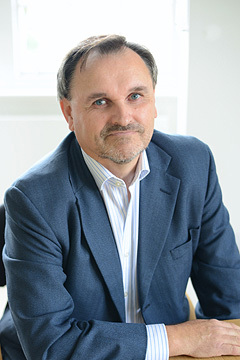 Nigel’s focus is on advising clients on limiting and preventing their exposure to litigation at an early stage in transactions, and on the use of ADR and mediation in order to resolve potential disputes.